Remember tha VR headset Swedish games developer Starbreeze was showing off last year? Well, while everyone's being chatting about Vive, Oculus Rift and Samsung's Gear VR, the studio has decided to join forces with none other than PC hardware kings Acer. 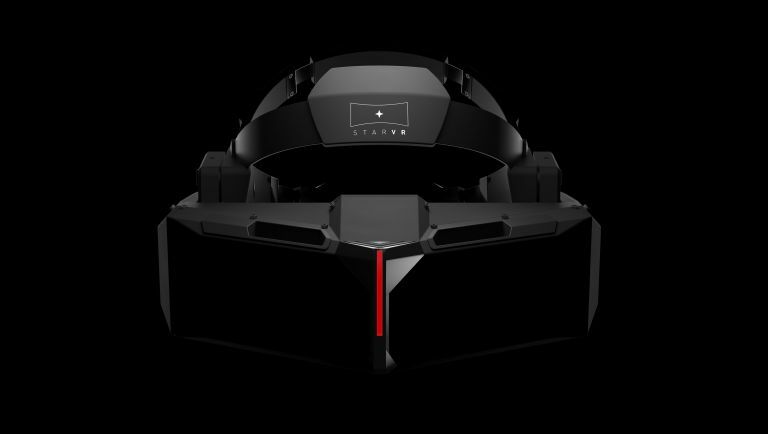 Starbreeze has been a little quiet as of late with its bespoke StarVR project, but during that silence it turns Acer is getting on-board with the theme park-centric device in order to help design and build the final version. Having the investment and guidance of a components giant as big as Acer now makes StarVR seem like it might have some potential (at least in the hardware department), with many critics previously questioning whether Starbreeze had the experience to pull it off on its own. “Since our launch in June 2015, we have had an amazing start with StarVR. By partnering with Acer we shift gears yet again to firmly position us as the leader in top-end VR experiences. Acer is an excellent, experienced and prominent hardware partner that will accelerate us in realizing and producing a high-definition, high-fidelity VR headset,” says. Bo Andersson Klint, Starbreeze CEO. “We've been working with a clear roadmap for our VR strategy from day one, and are now about to realize one of the first major collaborations we set out to achieve. The future for StarVR is now set and extremely exciting,” he adds. Why not check out: HTC Vive review - is this brilliant but flawed and demanding product the Betamax of first-gen VR?